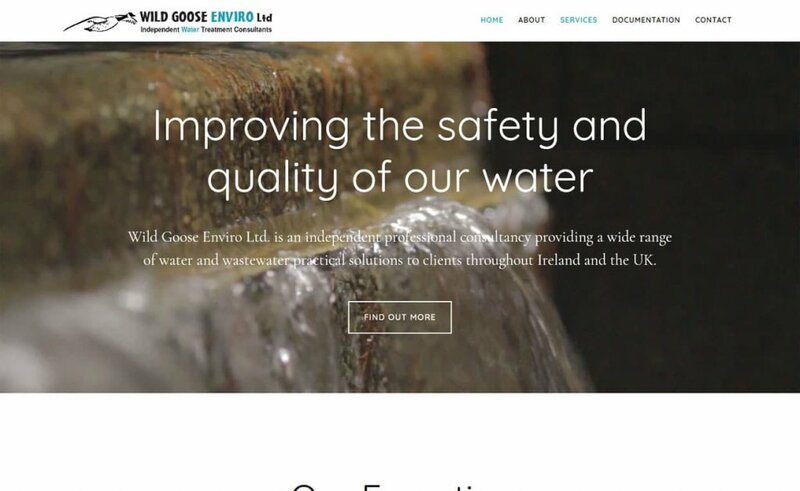 Pagecrafted | Wild Goose Enviro Ltd.
Wild Goose Enviro Ltd. is a brand new website for Athenry-based process engineer and water treatment consultant Julian Drapiewski. 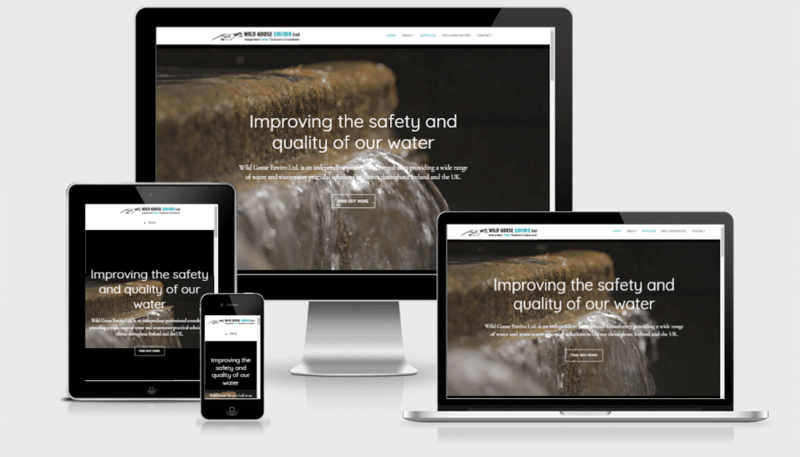 It features a new logo, a short looping video of water flowing and large scrolling images on the Home Page. 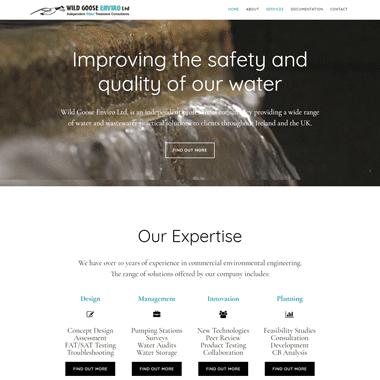 All the services are itemised on the main menu and introduced on the Home Page. 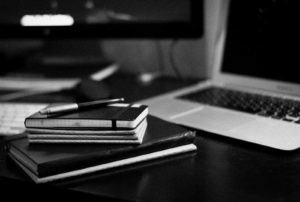 Buttons under each section lead to five separate pages with additional detail.